The Art Fair Cheshire is now in it’s 20th year and some amazing events are taking place this year in support of East Cheshire Hospice. 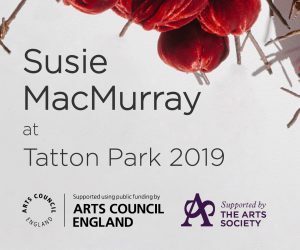 There will be an immersive installation by international artist Susie MacMurray at The Mansion at Tatton park from July to August and the Art Fair itself taking place from 27th September until 3rd October. Make sure you click the links below to find out more about each event and how you could volunteer with them if you would like to be involved. Find out more about the biennial Art Fair on behalf of East Cheshire Hospice. A showcase of local and regional artists, with all sales making a donation to the Hospice!